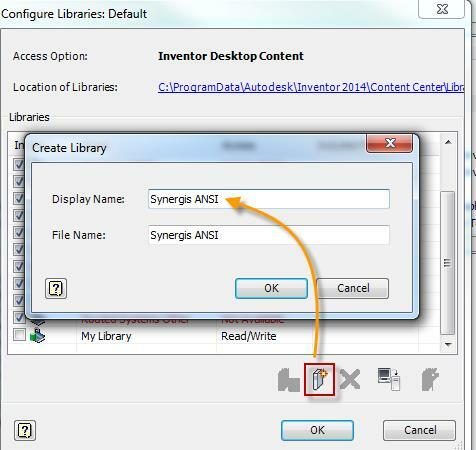 In this article segment I will go over the Inventor Content Center configuration, its internal structure and start to define a custom (read/write) library. If you missed Part 1 of this series, you can read that here. In the next and final installment of this series, we will take this custom library we created and start learning how to build it to meet your requirements. 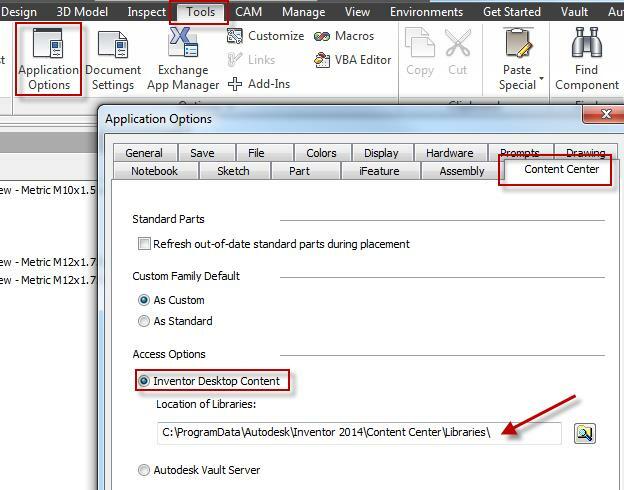 As indicated in Part 1 of this series, there are two types of content centers in Inventor, a desktop version and one that is managed by Vault. The desktop version is normally stored locally on the user’s PC and typically not shared. However these desktop libraries can still be placed on a shared location within your network, allowing others to access them without a Vault infrastructure. For the vault side of it, the content center libraries are shared and managed by the vault database. 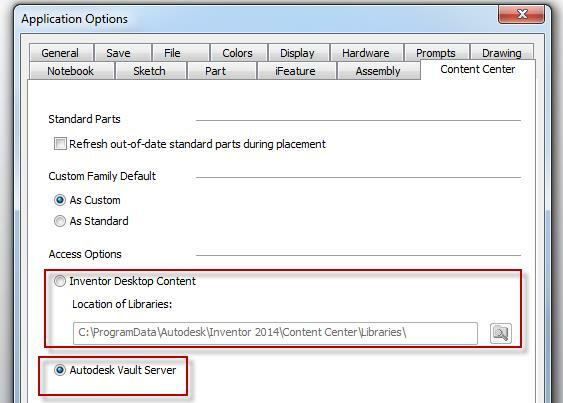 Meaning when a user logs into Vault through the add-on for Inventor, he or she will have access to these libraries. But inside of Vault, all users are unable to see the actual libraries. Yes I know I just said “these libraries are being managed by Vault”, so where are they? 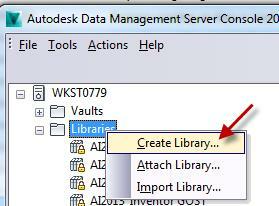 These libraries reside (or only can be seen) under the Autodesk Data Management Server Console (ADMS) application. However, the Content Center interface is always accessed through the Inventor application no matter if you are using the desktop version or Vault. 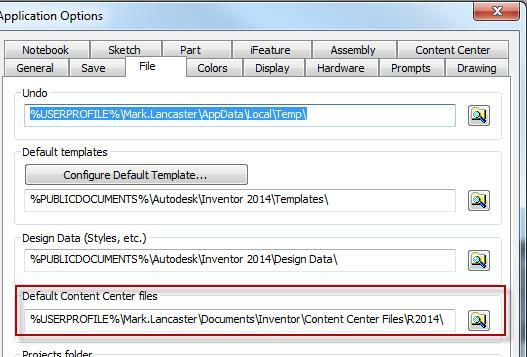 When you select “Place from content center” in Inventor, you will notice under the category view of the “Place from Content Center” dialog there are folders with icons on them. These folders are actually called categories and when they are expanded, additional sub-categories (red-arrow) may appear along with the content center family tables (blue dashed arrow) that are associated to them. A Content Center family table is like a Microsoft Excel spreadsheet that contains all of the required information to define the component, much like a vendor catalog outlines the parts they provide. These family tables and categories are then associated to a given Content Center library. In most cases, users are unaware of which category/family table belongs to which library due to the way the interface works and appears when they place an item from the Content Center. But it is unlikely these (vaulted library) files will ever be seen by the typically users. 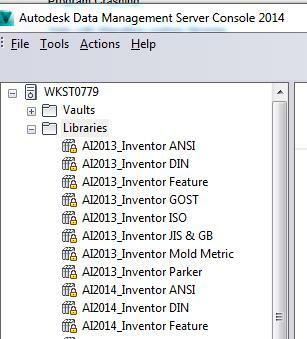 When Inventor is installed and/or the Vault server is set up, Autodesk provides an option to install numerous (read-only) libraries associated to ANSI, ISO, DIN and other standards. Under the Inventor installation, these read-only libraries are considered the desktop version. By default they are placed in the “C:\ProgramData\Autodesk\<Inventor version>\Content Center\Libraries” (Windows 7 & 8) folder. From Vault, the same types of libraries are stored per the location specified in that installation. 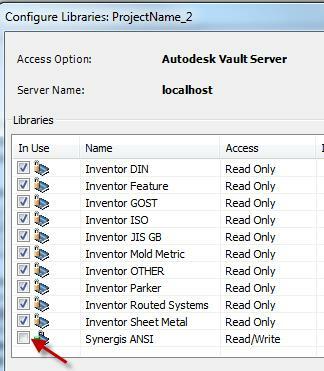 For Vault, I would first recommend having your Vault infrastructure in-place and then configure Inventor to use it. For this article, I will assume it is in place and ready for use. If the active project is defined as [Default] for Content Center files, the storage location is based on the information within the application options. If not, then the location is per the active project setting. Now that we have a basic understanding of how the interface is set up, let’s start talking about making your own custom libraries. As indicated earlier, Autodesk does provide numerous read-only libraries as part of the installation. These libraries are not considered to be custom and the information contained within can never be modified to meet your requirements. However, their categories or family tables can be accessed and copied over to any custom (read/write) library with the proper access. Develop a unique naming convention (member file name) that will be used to ensure the member names are not being duplicated in the content center. If you are using the desktop version, make sure your custom libraries are backed up regularly. Build your structure wisely. 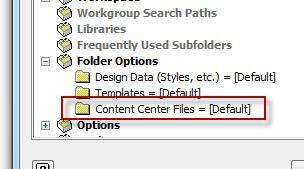 Though the content center editor interface may appear like Windows Explorer, it doesn’t function that way. I will go into more detail about this in part 3 of this article. 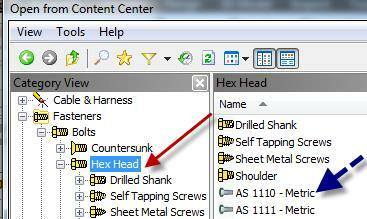 Parts that are overly complicated and/or contain a lot of information should also be excluded from Content Center. Parts requiring iLogic coding should not be placed into Content Center either. 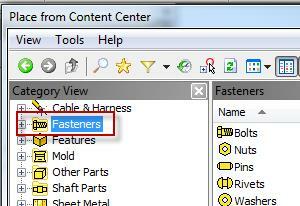 Standard assemblies or any type of assemblies are never allowed in Content Center. Parts that are alike but based on different specifications (i.e. ANSI, DIN, ISO, and etc) should be separated in different family tables. A family table can consist of a single entry. Defining family tables under certain categories like fastener, structural, and/or tube & piping may require additional information besides the data you are providing. Consider making more than one read/write library for your organization. Content Center Administrator: The main difference between a content center admin and an editor is the admin has the ability to create and remove libraries from the ADMS console. Since desktop content does not have any access controls in place, I would recommend applying standard Windows permissions (read or read-write) on those shared libraries to control which user has what access. 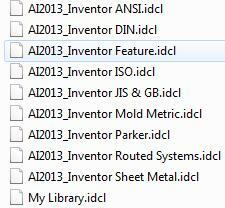 For the desktop version, Autodesk has already provided a read-write library called “My Library.idcl” as part of the installation. However I would recommend leaving this one intact and create a new read-write library through the active “Single User” project/Configure Content Center Libraries icon. The active project must be in a read/write state in order for this change to occur. Next select the “Create Library” icon and enter the “Display Name” of the library. Though the user can assign a different file name, I would recommend leaving the information as assigned by this dialog. At this time confirm the library is selected for use by the active project and save the project. For Vault; a read-write library must be first created by a user logged onto the ADMS console using a Vault account that has either a Vault admin or content center admin role assigned to it. This user will expand the Vault tree in the ADMS console, right mouse click on “Libraries” and select “Create Library”. The user will then provide the “Display Name” or the name of the library and the ADMS console will assign the database name based on the partition assigned. Though the user can assign a different name, I would recommend leaving the information as assigned by this dialog. 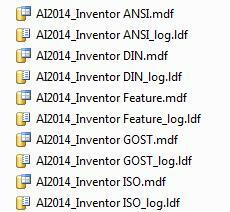 In my example, the information is based on using Vault Professional 2014 and Inventor 2014. However, the concept is still the same if you are using other flavors of vault and/or Inventor versions (partition). Though the read-write library is now present in the vault database, we must first modify the active (Vault) project so Inventor can start using it. Select the “Configure Content Center Libraries” icon, place a check next to the new read/write library we created and save the active project. As a reminder, the active project must be in a “read/write” state. Hopefully the information provided within this article helps you understanding the internal structure of content center, how it is configured, and assists you in setting up your own read/write library. If you have any questions about this information please contact us. Stay tuned for part 3 of this article or subscribe to get the update sent to you.